Produktinformationen "The LEGO® Power Functions Idea Book, Vol. 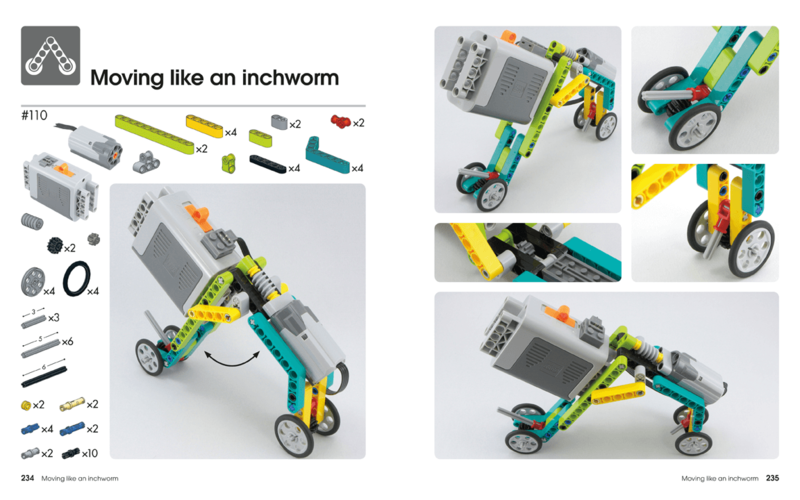 2"
This second volume of The LEGO® Power Functions Idea Book, Cars and Contraptions, showcases small projects to build with LEGO Technic gears, motors, gadgets, and other moving elements. You'll find hundreds of clever, buildable mechanisms, each one demonstrating a key building technique or mechanical principle. You'll learn to build four-wheel drive cars, adorable walking 'bots, steerable tanks, robotic inchworms, and cars that can follow the edge of a table! Each model includes a list of required parts and colorful photographs that guide you through the build without the need for step-by-step instructions. As you build, you'll explore the principles of gear systems, power translation, differentials, suspensions, and more. 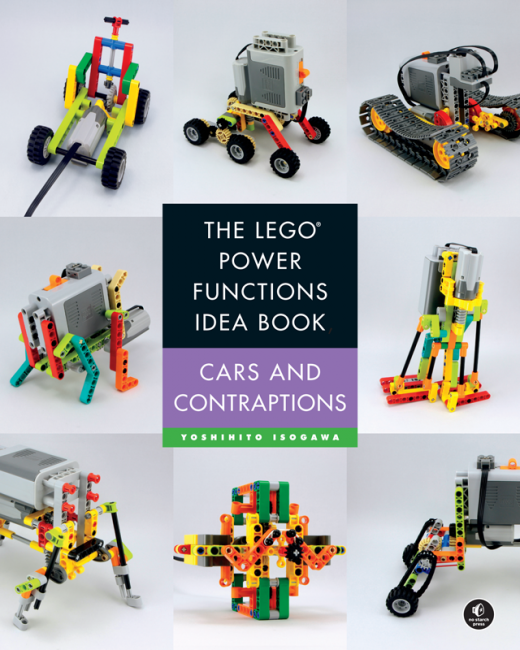 The LEGO Power Functions Idea Book, Vol. 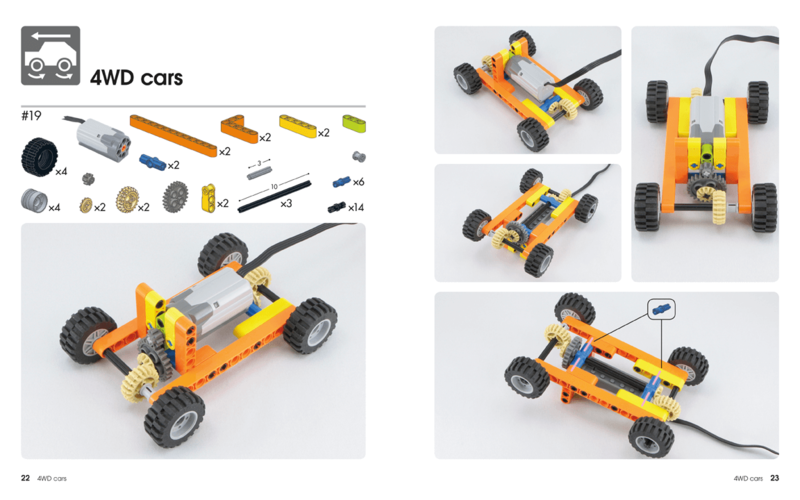 2: Cars and Contraptions shows readers small projects to build with LEGO's system of gears, motors, gadgets and other moving elements. The book is filled with hundreds of buildable, clever mechanisms that demonstrate a key technique or mechanical principle. Follow along and build four-wheel drive cars, adorable walking 'bots, steerable tanks, robotic inchworms, and cars that can follow the edge of a table! And just by building, you'll explore the principles of gearing, power translation, differentials, suspensions, and more. Imagine. Create. Invent. Now, what will you build? Yoshihito Isogawa is a LEGO luminary with 46 years of building experience. In addition to running Isogawa Studio, Inc., he regularly holds LEGO workshops, lectures at schools and science museums, and creates LEGO models for events and exhibitions. He is the author of the popular LEGO® Technic Idea Book series and The LEGO® MINDSTORMS® EV3 Idea Book (No Starch Press), as well as other Japanese-language LEGO titles. Weiterführende Links zu "The LEGO® Power Functions Idea Book, Vol. 2"
Garantie(Jahre) "The LEGO® Power Functions Idea Book, Vol. 2"
Weitere Info "The LEGO® Power Functions Idea Book, Vol. 2"
Kundenbewertungen für "The LEGO® Power Functions Idea Book, Vol. 2"